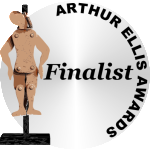 News: Blatant Self-Promotion – My Novella “Glow Grass” Arthur Ellis Finalist! WOW! I attended the Arthur Ellis short list event at Indigo Manulife Centre last night on April 21st with fingers crossed for our anthology 13 O’clock. 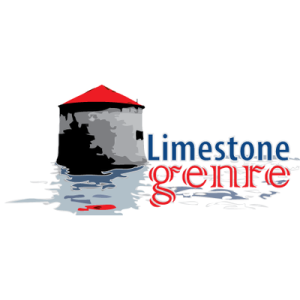 Competition this year was tough in the short story category with nearly 50 entries and many established authors. 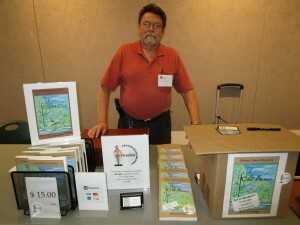 My suspense story, “Glow Grass”, was entered in the novella category. And it is an Arthur Ellis finalist. I could not believe it!! I’m honoured and delighted to be in the company of my friends and fellow authors, Barbara Fradkin and Alison Bruce. Do check out their books. 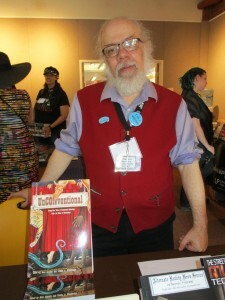 And special thanks to Carrick Publishing who made both anthologies of the Mesdames of Mayhem possible. Read an excerpt of “Glow Grass” on this website. 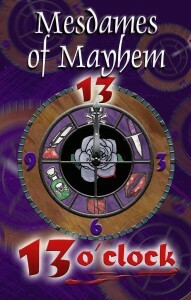 Our Mesdames of Mayhem anthology, 13 O’clock, has garnered two recent reviews, both great. 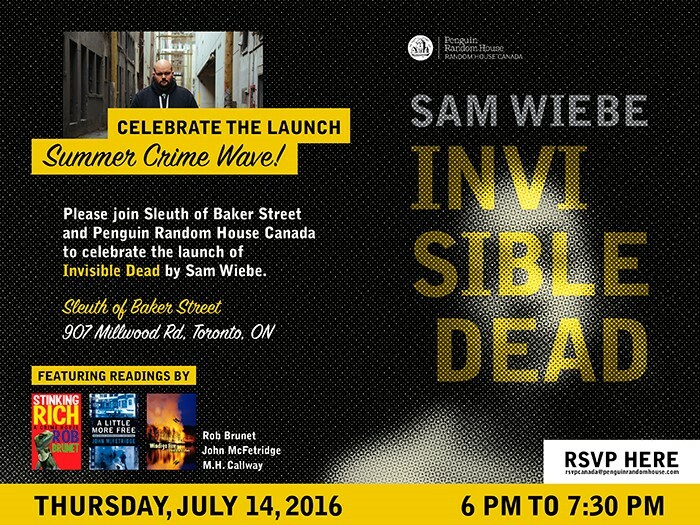 Don’t miss out on some great stories by leading Canadian women crime writers. M.H. 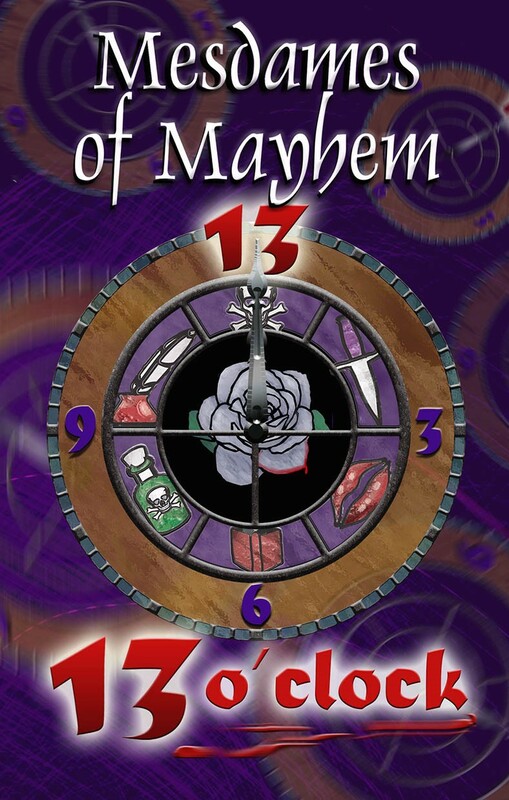 Callway very kindly sent me a copy of 13 O’Clock ($15.99), the second crime anthology by the MESDAMES OF MAYHEM. 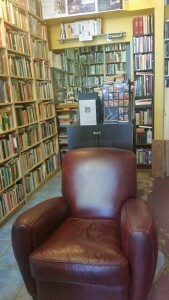 I normally prefer to pick up a novel, rather than a short story collection, when looking for reading material. However, having just worked with a group of budding young authors in a creative writing club and given advice on crafting short fiction, it was a pleasure to read an anthology by lauded female Canadian crime writers and class it as ‘research’. These twisted tales offer entertainment to suit your every whim or perhaps, more appropriately, to suit the time of day. Over crumpets at breakfast, perhaps you’ll find yourself reading “Pulling a Rabbit”, about a woman whose adventurous spirit leads her from theft to abduction. Over a pre-dinner glass of merlot, you may choose to read “Glow Grass”, about dark deeds and blood-shed at a decayed family cottage. 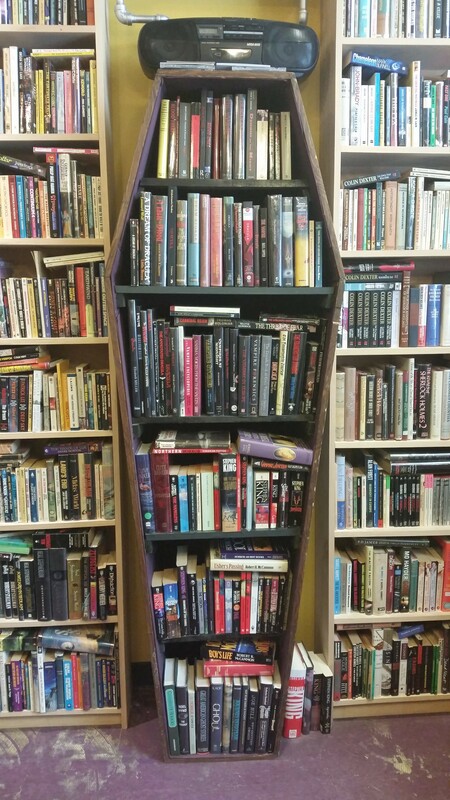 Whichever story you choose to read, at whatever time, you’re sure to find a tale of crime that will appeal to you, from the supernatural to comedy capers. 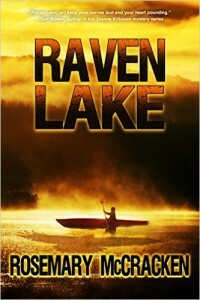 And Don Graves writes in Canadian Mystery Reviews. Don has given us permission to reproduce his review here. It will be up in a forthcoming issue. A book of short stories is like a box of chocolates. There are those decadent dark chocolate truffles, those syrupy little beehives with a cheery inside and then…you get the picture. Short story writing is a style where the author gets about a minute to ‘reel ‘em in and land ‘em’. No time to waste words. The author gets one shot to score. Short story writing can be the Waterloo that some authors fear. Enough. 13 O’Clock is a box full of delights. No assembly line writing here. It is short story writing that delivers. Did I like each story equally? No, but all of them got me in that critical first minute. In a long list of fine, hand-made “chocolates” includes “Perfect Timing” and “The Test of Time” by Melodie Campbell, “Thrice the Brinded Cat” by Joan O’Callaghan, “The Bench Rests” by Rosemary Aubert; this story took me back to those poignant legal series featuring Ellis Portal. 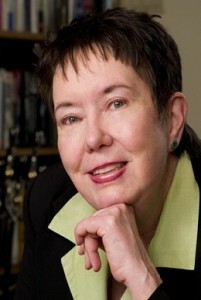 Stories by Donna Carrick, Catherine Astolfo and M.H. Callway hit the spot. And I must mention one other. I’m sure you’ve heard the oldie about those can’t do…teach. Well, some say, those who can’t write…edit. But “Mirror, Mirror” by Cheryl Freedman blows that saying out of the water. Here’s one of Canada’s finest editors who can write! 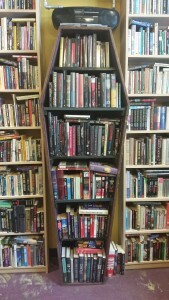 Many reviewers avoid anthologies. That’s why the Mesdames of Mayhem were blessed indeed when noted Canadian crime fiction reviewer, Don Graves, agreed to take a look at their second anthology, 13 O’clock for Canadian Mystery Reviews. According to Mr. Graves, we hit it out of the park!! And I’m especially delighted that my story, “Glow Grass”, was singled out for special mention! This week I'm delighted to have fellow adventure author, Kristina Stanley, on Cyber Café. 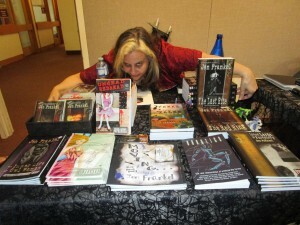 Kristina and I first met at the late great Bloody Words conference just after my debut novel, Windigo Fire, had been accepted by Seraphim Editions. 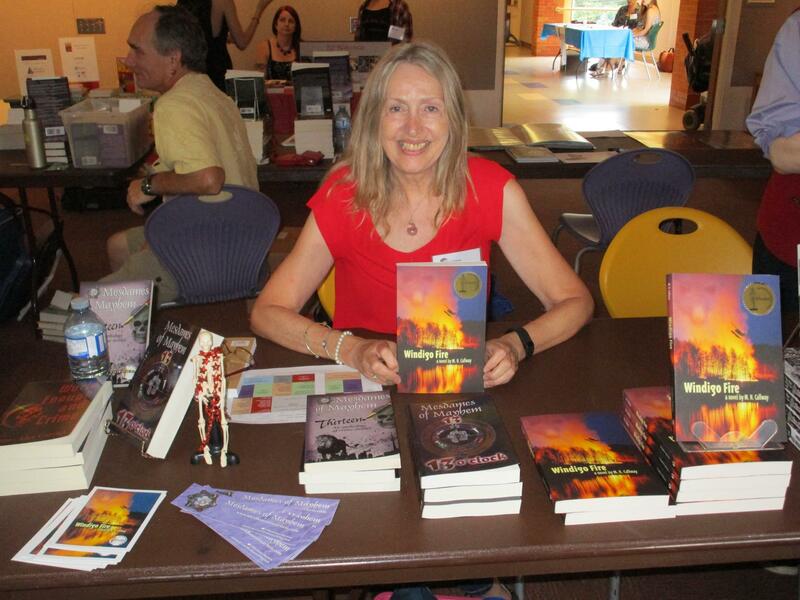 We bonded right away: both of us were finalists for the Unhanged Arthur and the Debut Dagger awards. And we both love to use challenging outdoor settings in our thrillers. Kristina has had a smash career since we first met. 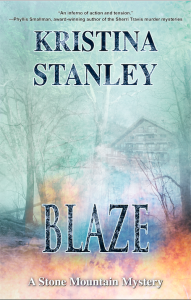 The first two novels in her Stone Mountain Mystery Series, BLAZE and DESCENT, are bestsellers and the third, AVALANCHE, is soon to be released. And she just sold the print and eBook rights to Lucifer-Verlag in Germany for publication in German later this year! 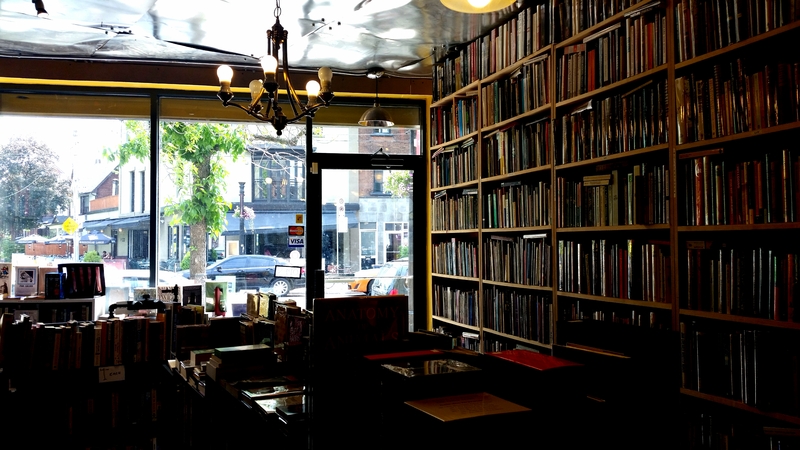 Emerging writers take note: Kristina generously shares her writing knowledge on her blog. 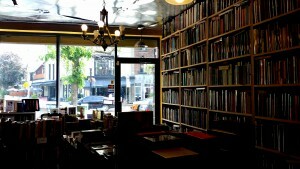 And this spring, Imajin is bringing out her manual on marketing, The Author's Guide to Selling Books to Non-Bookstores. I can't wait to buy it! Subscribe to Kristina's blog at www.KristinaStanley.com. Welcome, Kristina. How did you become a writer? Before writing my series, I was the director of security, human resources and guest services at a resort in the depths of the British Columbian mountains. 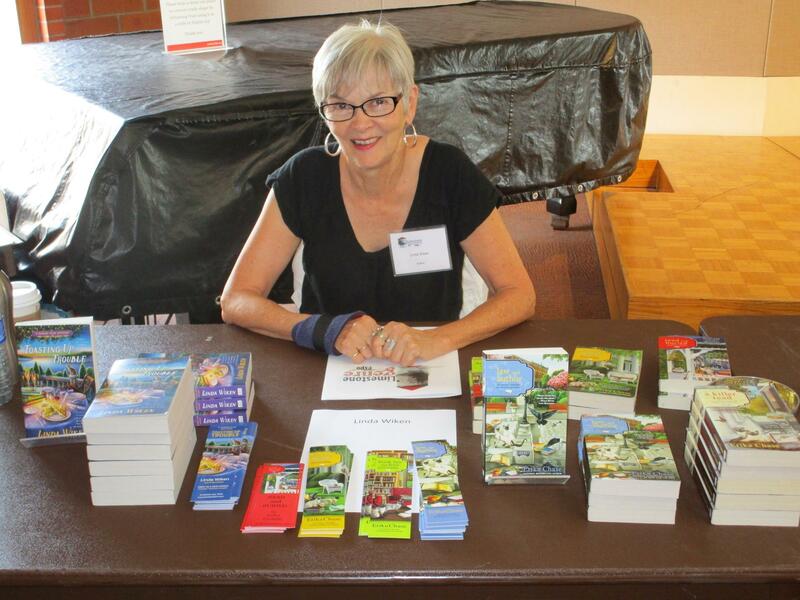 The job and lifestyle captured my heart, and I decided to write mysteries about life in an isolated resort. 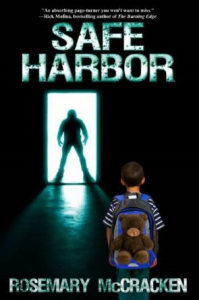 While writing the first four novels, I spent five years living aboard a sailboat in the US and the Bahamas. 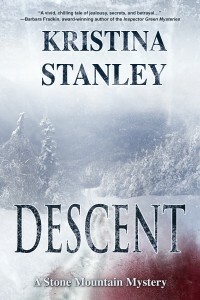 Crime Writers of Canada nominated my novel, DESCENT, for the Unhanged Arthur award and The Crime Writers’ Association nominated BLAZE for the Debut Dagger. 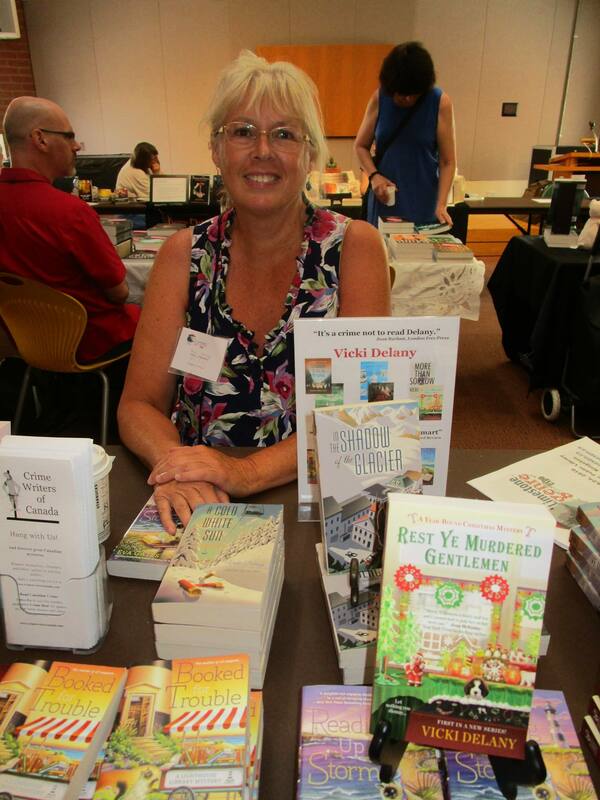 My short stories have been published in Ellery Queen Mystery Magazine and The Voices From the Valleys anthology. You blog three times a week and you’ve gained an incredible following. Tell us how you started. 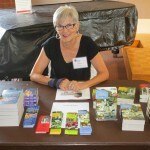 I started my blog in April 2011 at the suggestion of a friend. Since then, it’s come a long way. In the early days, I was informal about what I posted. Now, I’m a little more structured. 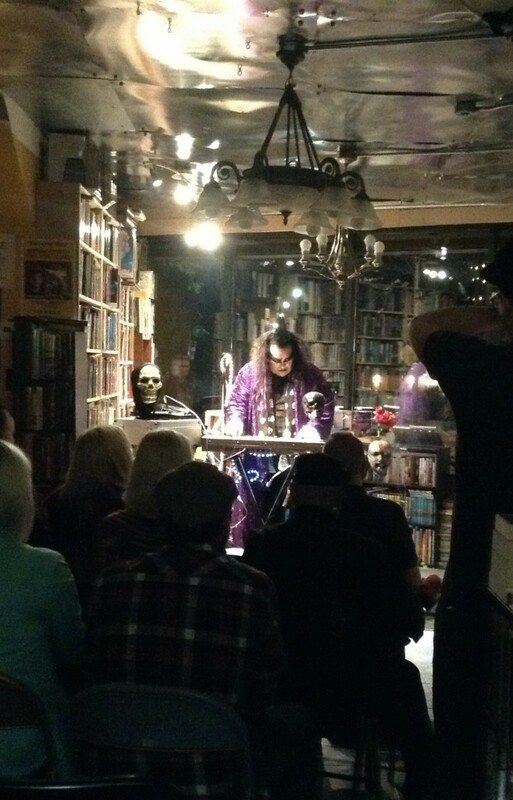 Mystery Mondays is published every Monday where I host another author. 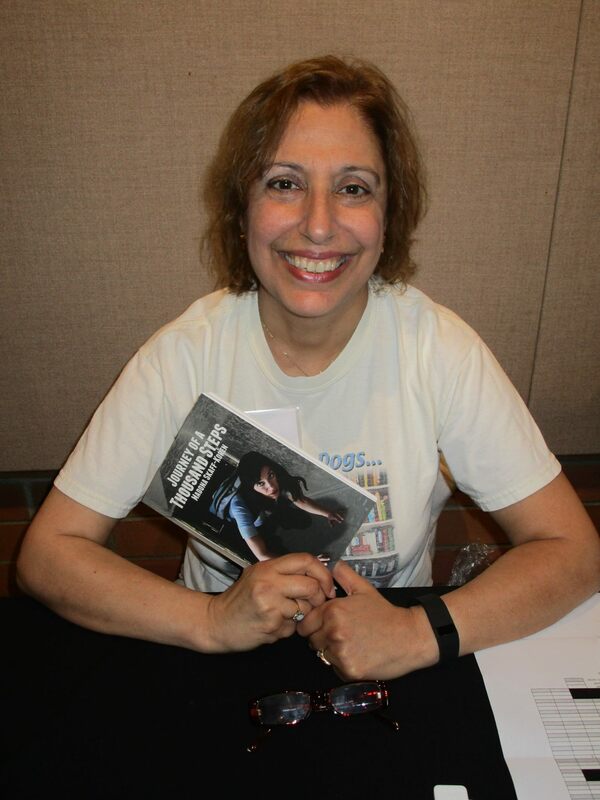 In return for publicizing their book, I ask for a writing or publishing tip for my readers. Wednesdays, I try to post Write Better Fiction. Here I focus on writing tips. On Fridays, my series is called Farley’s Friday. This is the story of my wheaten terrier told from his point of view. 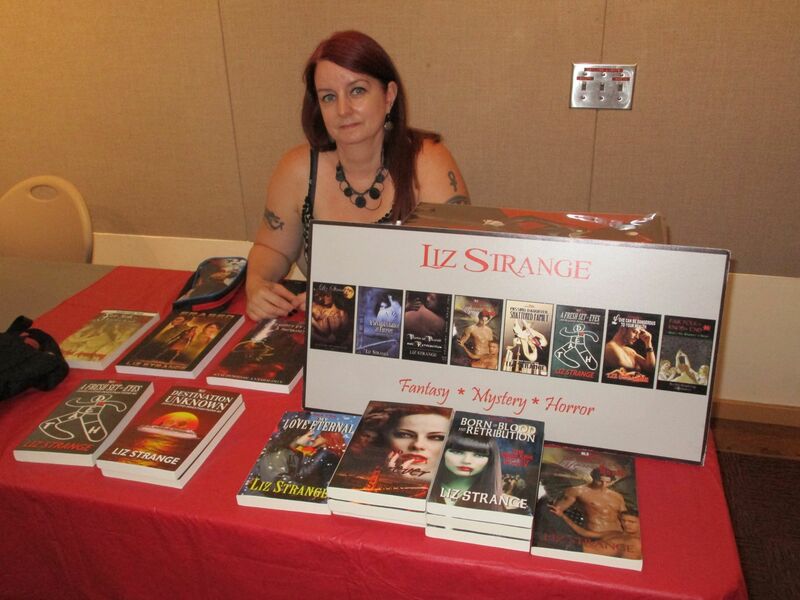 On the other days, I usually post about my writing journey and anything related to publishing. Currently just under 5000 people are following my blog, and I hope this continues to grow. The top five locations of my followers are USA, Canada, United Kingdom, Australia and Germany. What do you especially love about blogging? My passion for writing led me to start a blog. I wanted to connect with writers and share the journey with others. The joy of it all is I discovered I truly enjoy online networking. 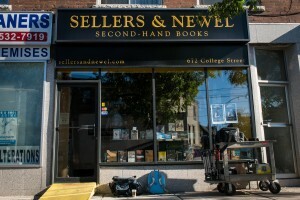 I love to learn from others, I’ve discovered many books to read that I otherwise wouldn’t have known about, and I do believe the blog helps sell books. I have two sets of followers. 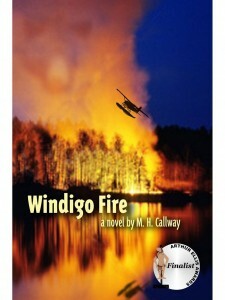 Those who follow the blog for the writing topics and those who follow for Farley’s Friday. The Farley’s Friday crowd is more interactive with comments. My most popular blog though was September 18th, 2012. How To Proofread had 812 hits in one day. I received so many comments that I created a permanent page on my website for readers! How can we subscribe to your blog? 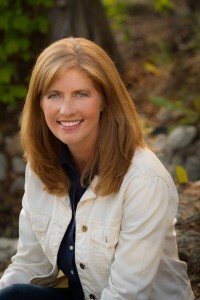 Readers can subscribe via email on the right side of my website at www.KristinaStanley.com. From there, they can follow me on Facebook, Twitter, Goodreads or LinkedIn. They can also hit the follow button if they happen to have a blog on wordpress too. I write murder mysteries with a little romance. I love to explore what would make a sane, typically non-violent person commit murder. I also like to write about remote locations. 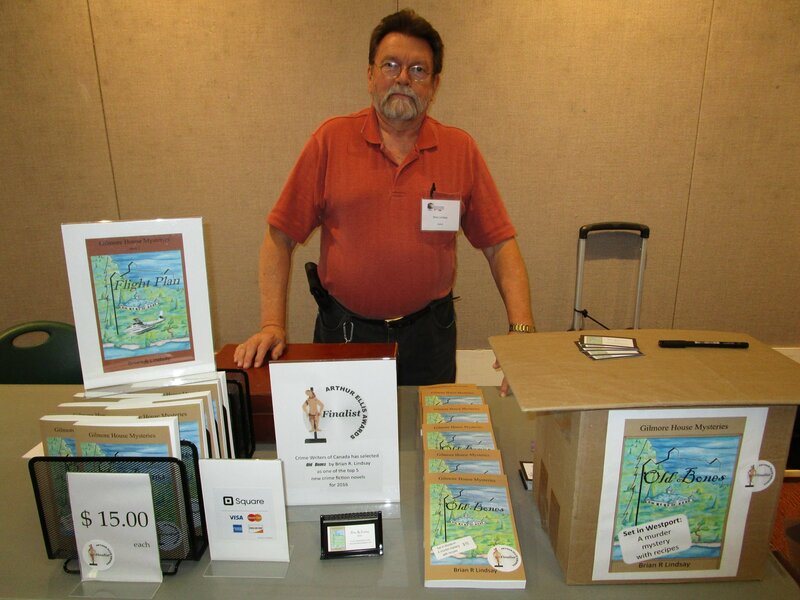 BLAZE , my most recent book, was published by Imajin Books in October 2015. It’s the second in the Stone Mountain Mysteries. Instead of exchanging vows, my protagonist, Kalin Thompson, spends her wedding day running from a forest fire near Stone Mountain Resort, and the pregnant friend trapped with her has just gone into labor. Meanwhile, Kalin’s fiancé, Ben Timlin, hangs from the rafters of a burning building, fighting for his life. Can the situation get any hotter? What I found, after being hooked by the first sentence, was a primer on how to write a novel. I turned the page to the second chapter and realized Kristina had hooked me right from the start…For all readers, the mystery is satisfying, but for readers who are also writers—this is also a textbook to learn about pacing, character development, and plotting. It’s no wonder that Kristina is a bestselling author. What is next for your readers? 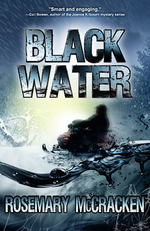 On a cold winter morning, deep in the Purcell Mountains, the safe at Stone Mountain Resort is robbed hours before Kalin’s brother, Roy, disappears in an avalanche. Under normal circumstances, as the director of security, Kalin would lead the investigation into the theft, but Roy is the prime suspect. The police and the president of the resort tell her to stay clear of the investigation, but she risks her job to clear Roy’s name. Is her faith in her brother justified? Was the avalanche an accident or did something more sinister happen? Threats against Kalin escalate as she gets closer to the truth. And is the truth worth destroying her life for? I’m also releasing a guide for authors. 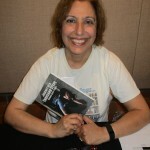 The success I had in selling and distributing DESCENT and BLAZE came came from implementing what I learned by trial-and-error, by talking with other authors and store owners about the process, and from guidance from my publisher. I’ve taken everything I’ve learned and put it into a book. In THE AUTHOR’S GUIDE TO SELLING BOOKS TO NON-BOOKSTORES I explain how an author should plan, prepare and execute getting books into stores and actually making money from it. 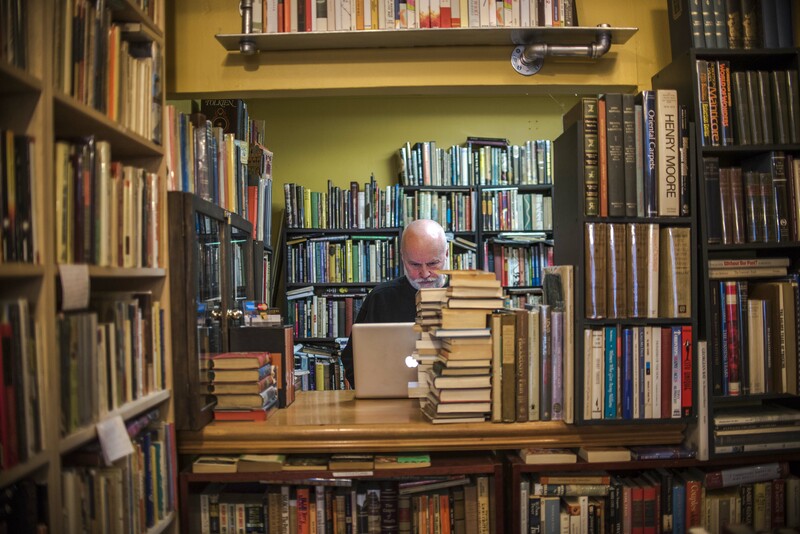 It doesn’t matter whether you’re an Indie author or traditionally published, all that matters is you have a printed edition of your fiction or nonfiction book and you want to get that book out into the world. Thanks, Kristina. Can’t wait to read your two new books. And fingers crossed for good news at the Arthur Ellis shortlist event coming up next month! 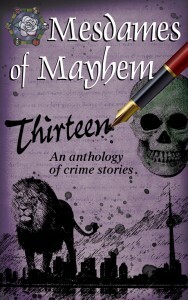 Thirteen is the first anthology of the Mesdames of Mayhem, featuring stories by 13 of Canada’s leading women crime writers. 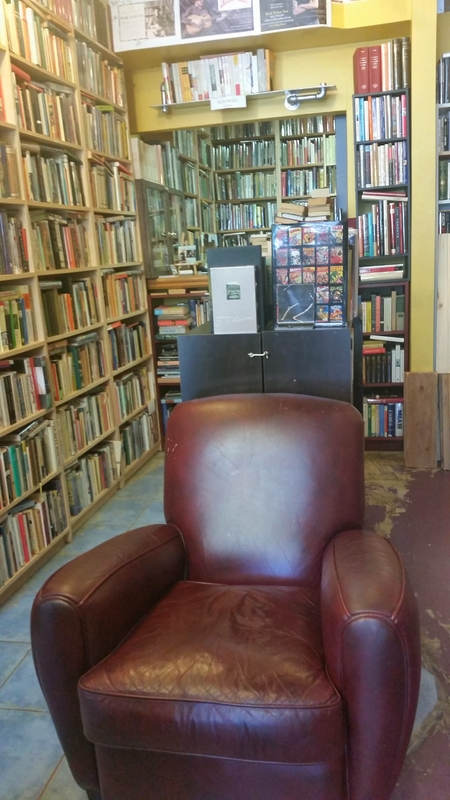 The collection contains one Derringer and two Arthur Ellis finalists. “Amdur’s Cat” is my comedy thriller based on my working experiences with the government – and on the antics of a notorious Toronto mayor. Which incidents are true? I’ll never tell! Read and enjoy the opening pages! On a snowy December night Benjamin Amdur saw a lion. It was gamboling about like a kitten swatting at the fat, wet snowflakes that tumbled through the dark. Right in the centre of Riverdale Park by the children’s wading pool. Under the lamps of the park’s snowy pathway, the lion’s tawny fur glowed like the back of an old velvet sofa. For a brief moment – that gap between the surreal world and biting reality – he watched Rousseau’s painted lion come to life. Then he remembered the sleeping gypsy – the minstrel who was about to eaten. He grasped the icy black iron fence beside him. The house it surrounded lay dark. At two in the morning, its inhabitants, like most normal people, were in bed. By the time he woke them up screaming for help, the lion would have torn out his throat. With infinite caution, his eyes on the animal, he edged back into the shadows of Winchester Street, the road he’d weaved down moments before. Behind him, three blocks away, lay Parliament Street with its strip bars, eateries and mini-marts. Surely to God one of those places had to be open! The lion leapt in the air. It snapped at the snowflakes as they fell. He heard the crunch of its jaws, saw the flash of its teeth. Its tail lashed back and forth. Then it paused, raised its huge head and sniffed the air. Its nostrils twitched. Amdur turned and ran like a mad man. By the time he reached the yellow lights of Parliament Street his chest was heaving. He doubled over, gasping for oxygen. If the lion got him now, he was dinner. But he couldn’t take another step. He looked frantically up and down the street. Every storefront was dark. No buses, no taxis, no cars. Then he spotted an angel standing under a streetlight a few yards to the south. Well, not an angel exactly, but a young police officer, her uniform immaculate, the brim of her cap spotless, her leather boots and gun holster gleaming with polish. “Your ID. Now!” Her hand moved toward her baton. Amdur dragged out his wallet and handed her his driver’s license. Her laser stare burned through its laminate cover. She shoved his license in her tunic and tore down Winchester Street, leaving him standing there like an idiot. He chased after her, but she set a blistering pace. He only managed to catch up with her at the edge of the park. No sign of the lion. Amdur squinted through the heavy curtain of falling snow. Where was the beast? Where was it? The grounds of the park stretched out before him, white and featureless under the thick drifts. To read the rest of the story, download your copy of Thirteen from Amazon.